Before acquiring my own garden, I spent many happy, and frequently muddy, weekends on wildlife conservation projects around S.E England working on woodlands, ponds and The Downs. My gardening at home and the advice I give to clients & students is always mindful of environmental impacts and I encourage everyone to adopt a wildlife friendly gardening style. It really does not mean that you have to give up a beautiful and organised garden. A long-time member of Kent Wildlife Trust I am a volunteer advisor on the successful KWT Wild about Gardens Scheme. I can provide advice and ideas to make your garden wildlife friendly as part of a garden visit or as a talk to a gardening or school group. 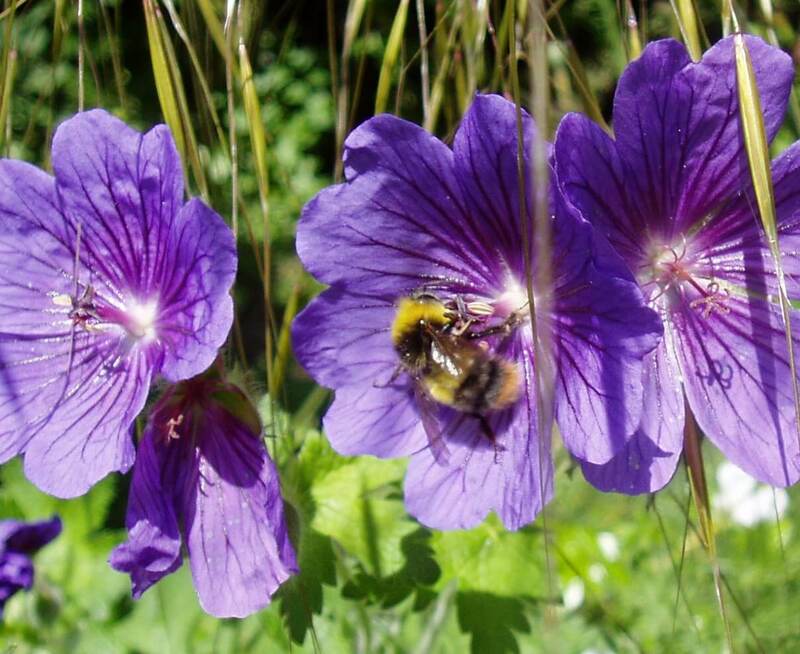 A wildlife garden is just as deliberately managed and intensively planted as any other garden. Some wildlife gardens even look like attractive ‘normal’ gardens – mine for example! To attract a wide range of creatures you will be packing in features and plants at a much greater density than in the countryside and you will be just as officious in removing the plants that you do not want. A wildlife garden is not an abandoned, weedy wasteland. Wildflower meadows are popularly created by delaying mowing lawn and introducing native wildflowers to supplement what appears naturally and these are a very good food source for insects and birds. However, if you want to keep a mown lawn then you can provide the wildlife value with a well thought-out bed of wildflowers and cottage garden plants that provide nectar, pollen and seeds right from spring through to autumn. The majority of wildlife that you attract will go under the heading of ‘creepy crawlies’ that are the bedrock of a healthy eco-system. Insects, beetles, worms, wood lice and a myriad of mini-beasts are the start of the food chain that leads up to the bigger, more impressive mammals and birds. Children delight in poking under logs and stones in a quiet corner looking for invertebrates and a move away from chemicals in the garden will ensure that they are never disappointed.